Is there a Sewage in Venice? I've often been to Venice, and I am always asking myself,, how does the sewage in Venice work...? Does anyone know how Venice has arranged its sewer? A city on the water with drainage... Yeh, right... Tourist complains 'it stinks in Venice'... A great topic! Indeed, is there sewage in Venice or does it go directly into the channel? Something not immediately comes to mind, but still very interesting. Recently the city is improving there waste water treatment. The government placed around 140 small biological wastewater treatment plants in the city. And Venice already has more than 6,000 septic tanks who can process and treat the wastewater. Nowadays, it is forbidden to start a restaurant or hotel without a wastewater treatment system. The local governments are working hard to solve the problems caused by sewage. Due to the problematic systems beneath the city, it is still difficult to resolve al the sewage problems. Many of them are outdated and is still causing many problems for the town and the health to the millions of tourists. People in Venice tell you that most sewage goes directly into the canals without treatment. It is true that it is in seawater. This water is so incredibly salty that it is not polluting or dirty. And you will not notice as a tourist because the canals are flushed out by the tides. There are often plenty of people who swim in the calm water at acqua alta in Venice. You've read about the sewage in Venice questions. There is plenty to explore, as you see. 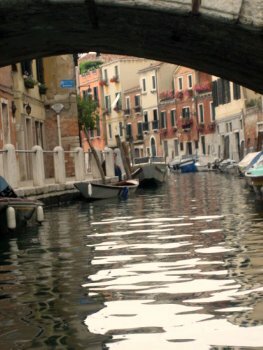 Find out more about my site Venice!